After 9 and and half years of interplanetary space travel, the New Horizons spacecraft led by NASA, Johns Hopkins Applied Physics Lab, and Southwest Research Institute has arrived at its primary destination of Pluto! A link to the main website for the New Horizons mission will be at the end of this article. While you wait for some photos and analyses to be released, it is helpful to reflect on some lessons that this mission provides us if you want to be a rocket scientist like those who worked on this mission. Here are 4 strategies that are especially valuable and relevant for aerospace professionals, based on our unique and challenging projects that we love to work on. After studying and/or working in the field for over 25 years, and looking at how our world is changing around us, here are 4 strategies to be successful rocket scientist. When I was an undergrad in college, I was fortunate in that knew I wanted to be an aerospace engineer. But I also had very little appreciation for how much of a community the aerospace and aviation field is. If you want to make a big impact in this field (or any field, for that matter), it is going to take make years. You may have a clear vision and dream, but your particular trajectory and journey is impossible to predict and map out with certainty. It’s also impossible to know who may be valuable and influential to work with in that journey. Wouldn’t you love to be one of those valuable and sought-after people? Or how about someone who knows and is on good terms with many of those people? If I had realized that I would still be in touch with professors and classmates 20+ years in the future, I believe (or hope, at least) that I would have worked harder to be a more friendly, respectful, and helpful person. If you want to work on a project like New Horizons, check out the timeline of the New Horizons project on Wikipedia. The proposal team first met in 2001! How old were you then? What were you doing on January 8, 2001? That’s when the proposal team first met as a group. Wouldn’t it have been great if the team asked around for someone of a particular expertise or interest, and someone mentioned your name? What might the reaction be then? Hopefully it is positive. If so, that’s how you can find out about exciting projects and actually be invited into them. Or “encouraged to apply” for an aerospace job, because there are still usually formal processes to go through. You’ll find many specific tools, groups, and resources tailored specifically for aerospace and aviation careers in those tips. They are things that have helped me and that I wish I had used much earlier in my career (or I did actually take advantage of). You can pick one of these as a free chapter from How To Be a Rocket Scientist by clicking here. Allow up to 24 hours and you’ll have it sent directly to you via email. This is another strategy that took me many years to appreciate, so the sooner you start on this, the better for you if you want to work on a spacecraft project like New Horizons. Because aerospace projects are so complex and have such long time frames compared to many other projects, it is extremely rare for anyone to spend 100% of their working time on one project. Much more likely, you will have many projects on your plate concurrently. And even within one aerospace program, because they are so complex, it is actually a collection of many specific projects. What were people on the New Horizons project doing for the past 9.5 years as it was traveling from Earth to Pluto? I don’t know the answer for everyone, but I can bet that for most of them it was not working on this project! We simply don’t have budgets and overhead to support idle “work” like that. Being effective at managing your time, your work scope, and your budget will make you a more effective rocket scientist. Most rocket scientists and aerospace engineers have responsibility and assignments with multiple projects at the same time. Learning how to effectively manage and balance those projects (and the people who want your effort on them!) is an extremely valuable and practical skillset to have. When you think about it, life is full of projects! So project management skills are something that you can apply throughout your life and career, no matter what you do. Invest some time and effort into learning about project management through your schooling, your time online, your current job if you have one, or a mentor. I eventually saw the value in obtaining a Project Management Professional (PMP) certification from PMI. You need to have a significant amount of dedicated project management work experience behind you before you can obtain that. The earlier option is a CAP-M certification. Information on that is on the PMI website. The long time frame and relatively long feedback loop for most aerospace projects is a major challenge for those of us who want fast results and rapid feedback. But there are things you can do on a time scale of your choosing! For example, I set daily goals for myself. The source of these goals are often the question, “What do I need to learn today?” Often the answer is not a technical question. More often it is an assumption about my career, a job/business prospect, a person or organization, or an industry matter. If you build a habit of operating in a daily feedback loop of learning, taking specific action, and adjusting, you’ll be operating in a much faster feedback loop than most people. The New Horizons space probe went into “sleep mode” for weeks or months at a time. Don’t be like that!! Everyone needs and deserves some time to coast or rejuvenate themselves on a regular basis (which includes sleep, exercise, and recreation). But when you aren’t doing that, set a specific goal, however small, to learn something valuable. I have specific tips, strategies, and resources in that chapter to help you find your motivation and use it to move forward toward a rewarding career in rocket science. You can get this as a free chapter from How To Be a Rocket Scientist by clicking here. Allow up to 24 hours and you’ll have it sent directly to you via email. The truth is, there are still important and challenging problems in aerospace and aviation that need to be solved. They aren’t easy, so that’s why we still need more rocket scientists! Subscribe to this blog so that you can continue to learn and move forward into a rewarding career in aerospace. If this article was helpful for you, or you have another question that you want to ask, please let me know with a comment below. 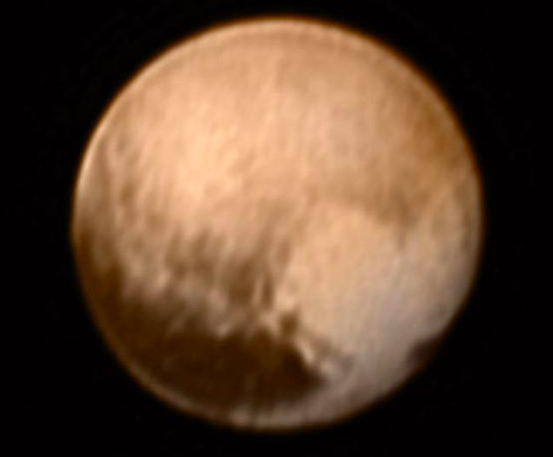 I promised a link to current news on the New Horizons spacecraft arrival to Pluto. Go to the official New Horizons website hosted by John Hopkins APL for lots of updates. Thanks for spending some time here and pursuing your journey in the aerospace world! P.S. If you want all of the 10 powerful tips for How To Be a Rocket Scientist, including over 40 specific resources for taking productive action, click this image to get the entire book on Amazon as a paperback or eBook. I appreciate your purchase!